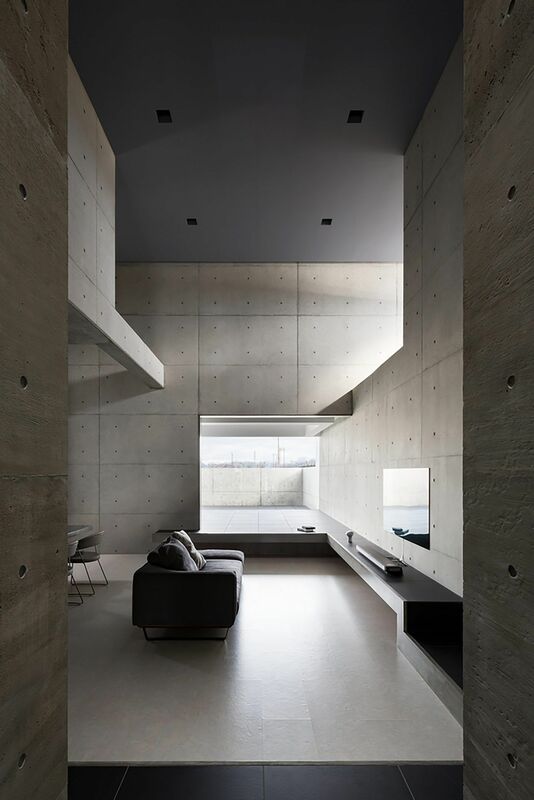 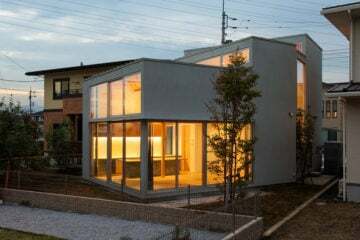 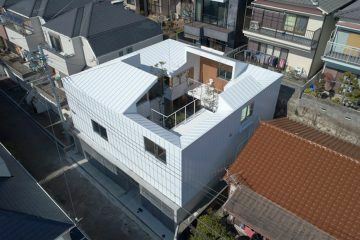 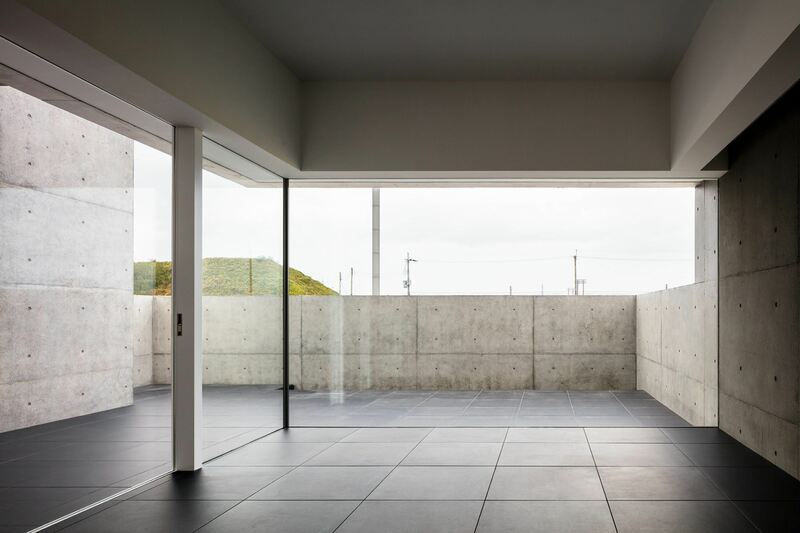 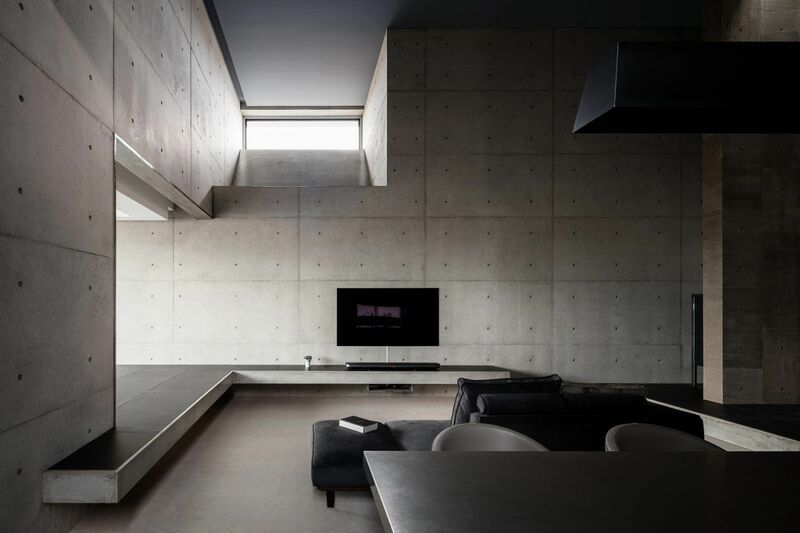 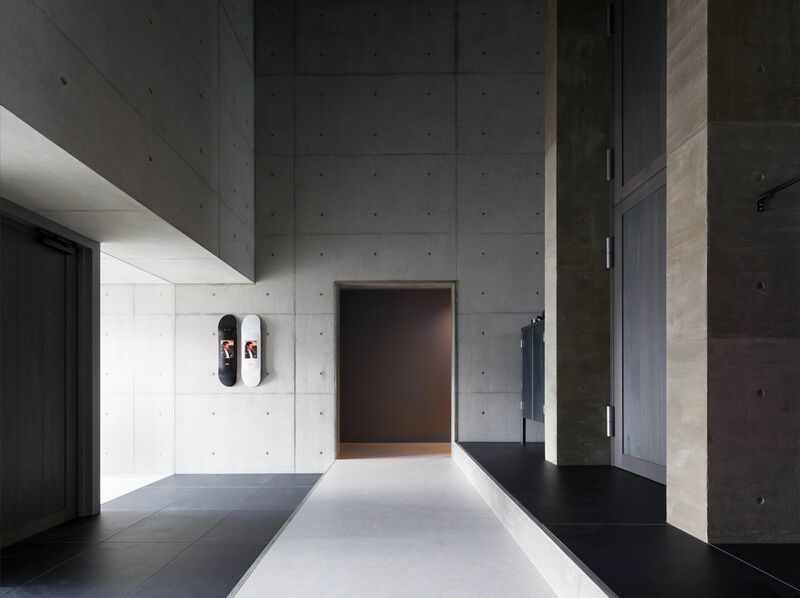 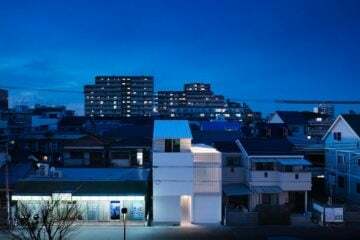 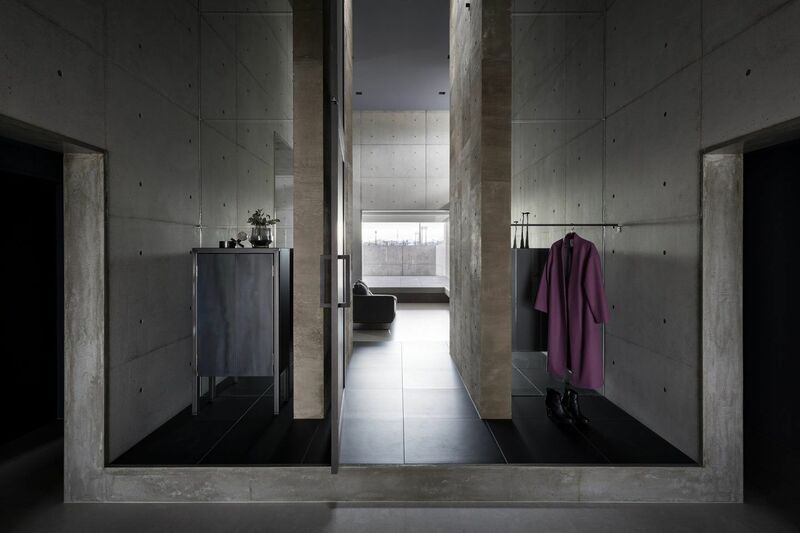 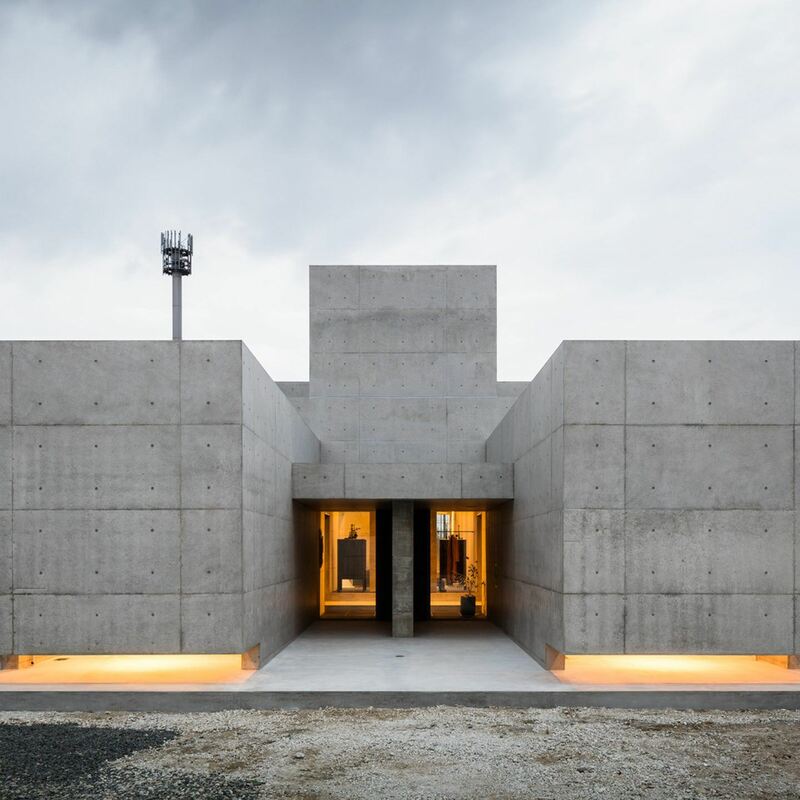 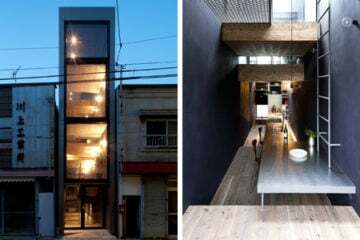 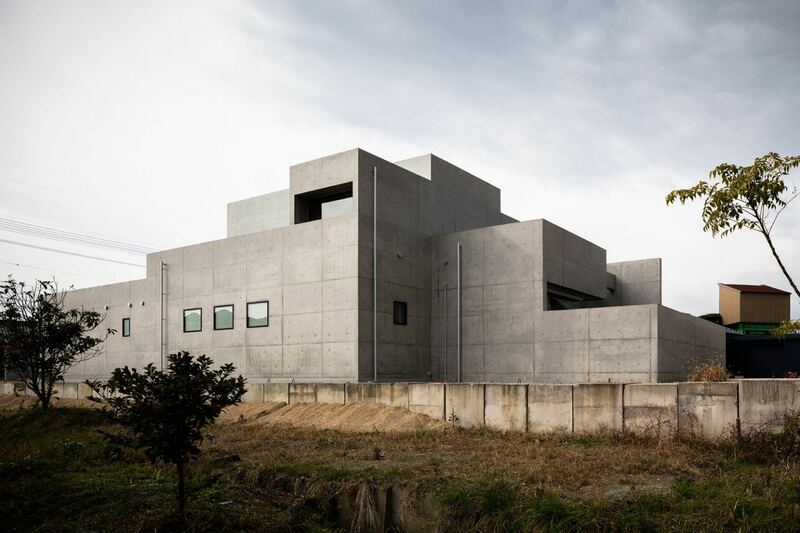 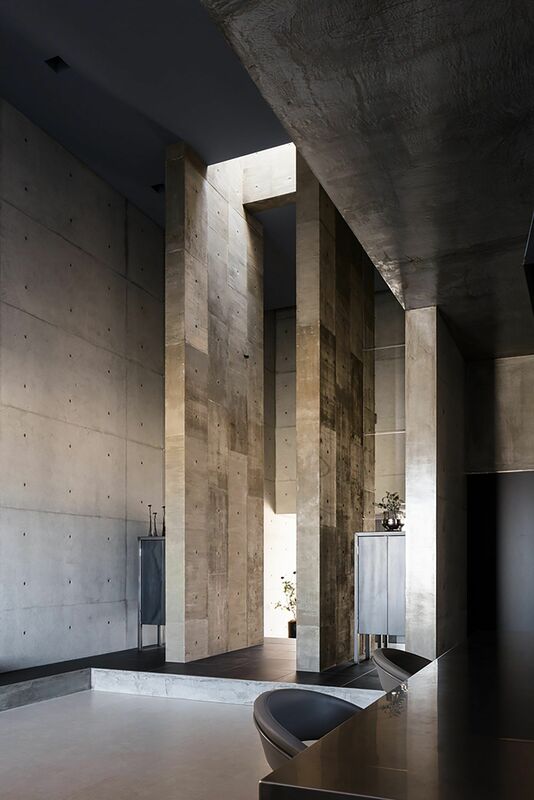 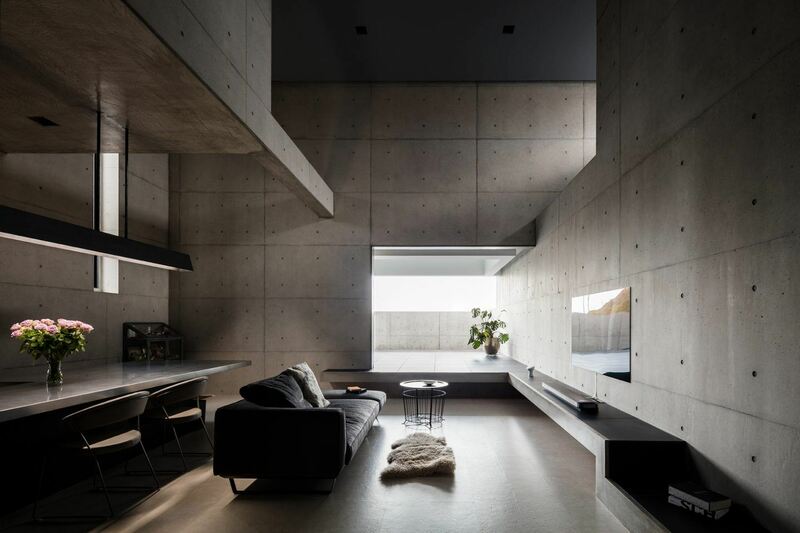 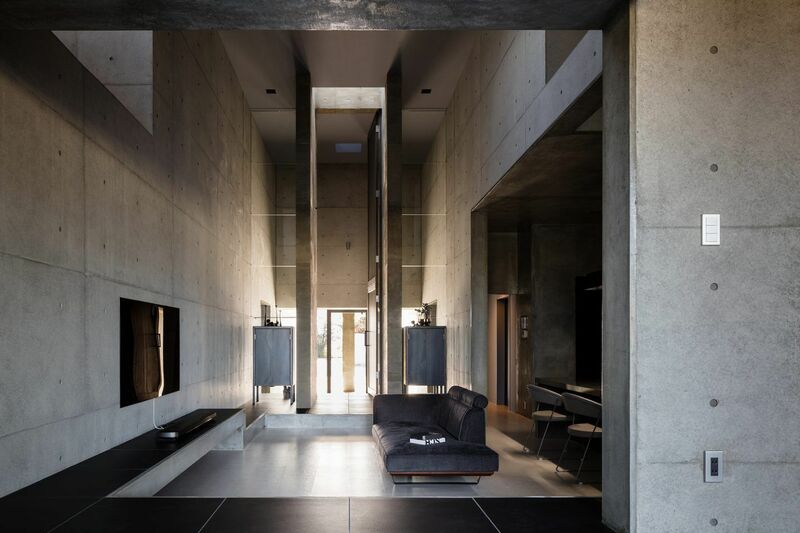 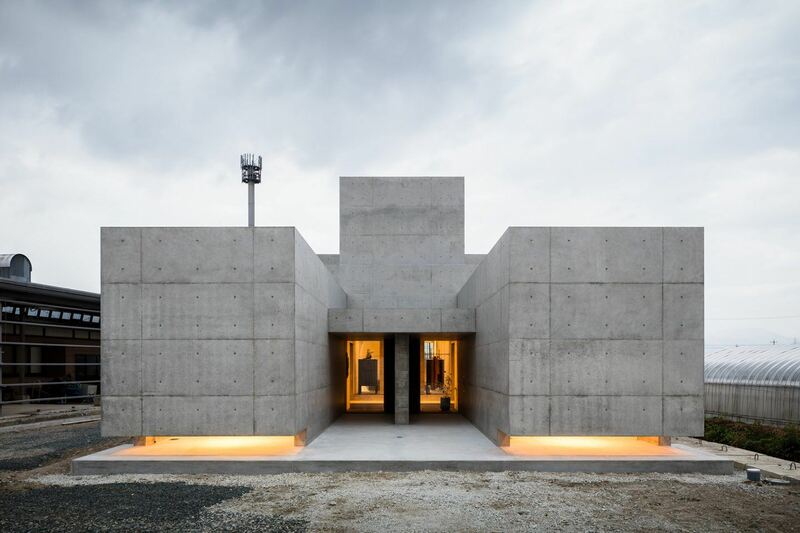 On a busy highway in Shiga, Japanese architecture firm Form/Kouichi Kimura has completed ‘Tranquil House’; a reinforced concrete building that, at first glance, more resembles a concept store than it does a home. 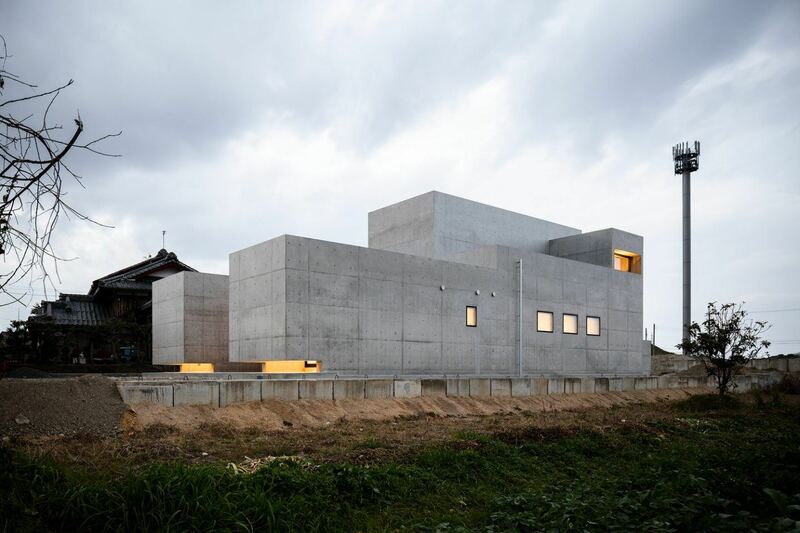 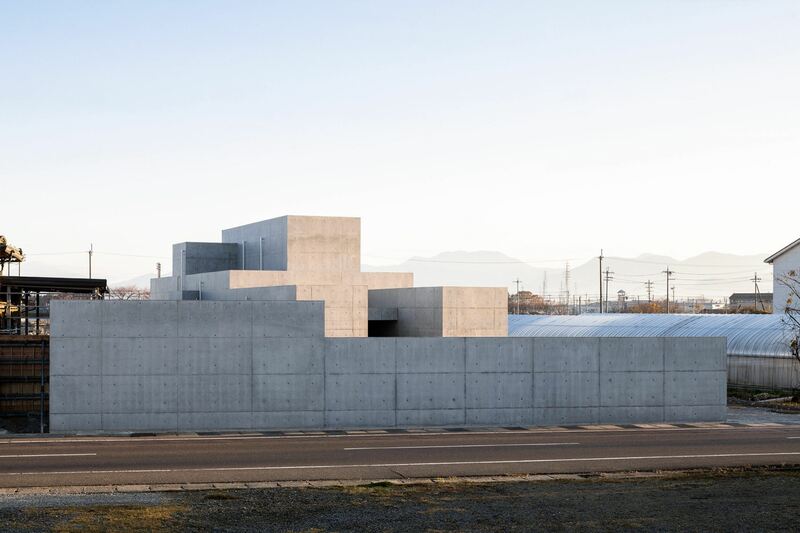 Situated adjacent to a concrete factory, between a field and a traditional Japanese home, this residence is an interesting addition to a landscape populated by homes and industrial sheds. 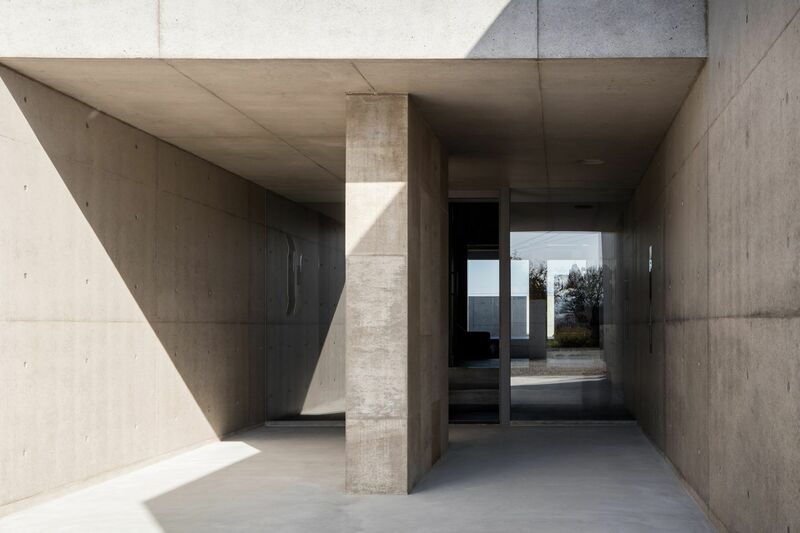 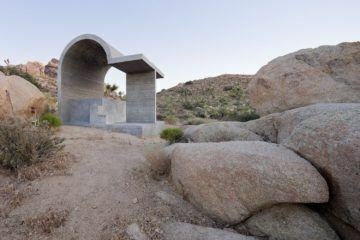 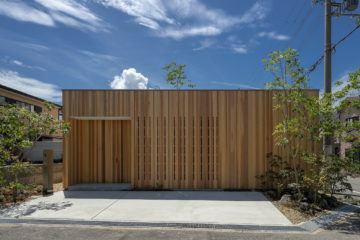 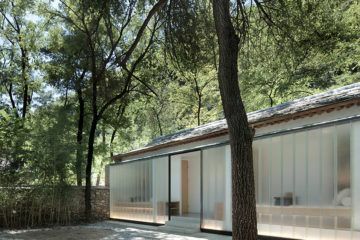 The exterior is marked by few windows, and this, coupled with the height and mass of the béton brut structure, make the home seem impenetrable from the street. 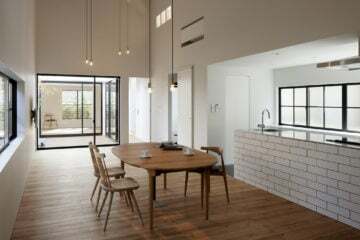 Entering is a grand affair, one possible only from the north end of the house, where full-height wooden doors open onto a hallway that leads to the free-flowing living, dining and kitchen area. 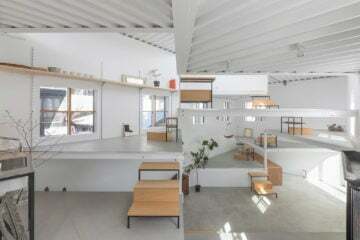 Here, space has been artfully divided without walls. 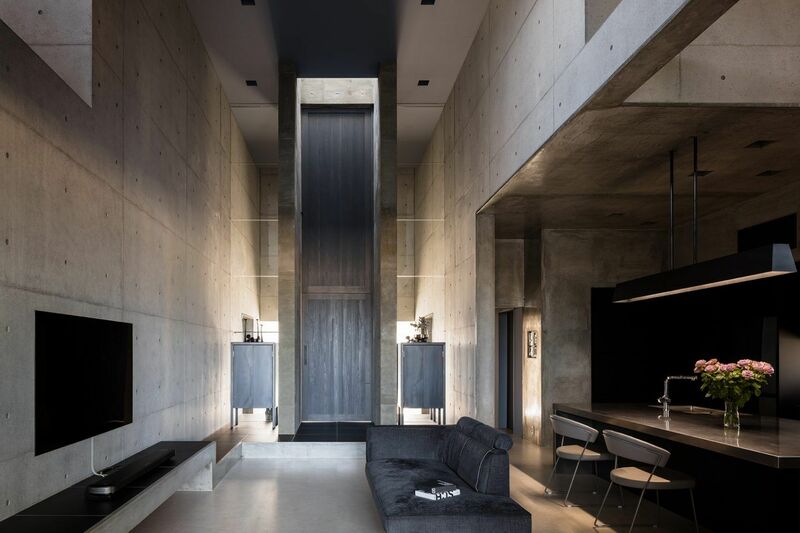 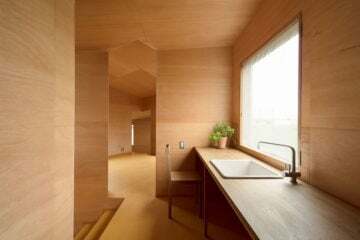 Varying ceiling heights and floor levels demarcate each area. 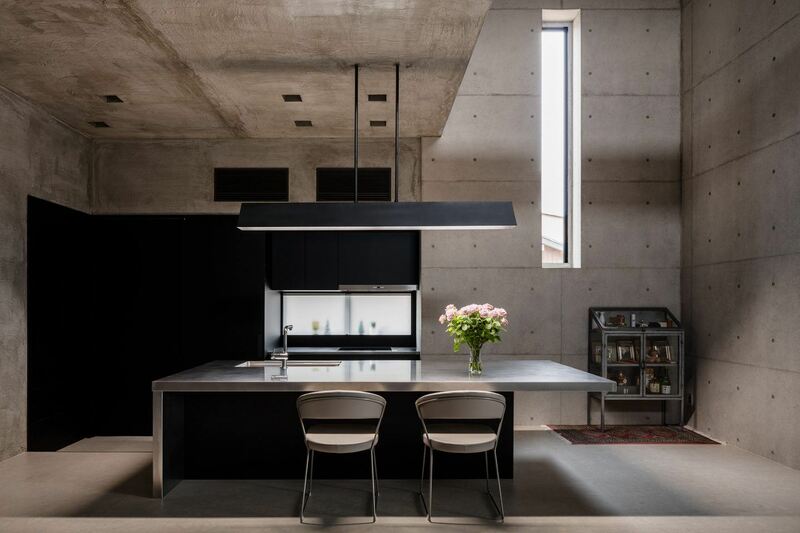 Through skylights and standing height windows, sunshine floods the space whilst angling views away from the industrial surrounds.